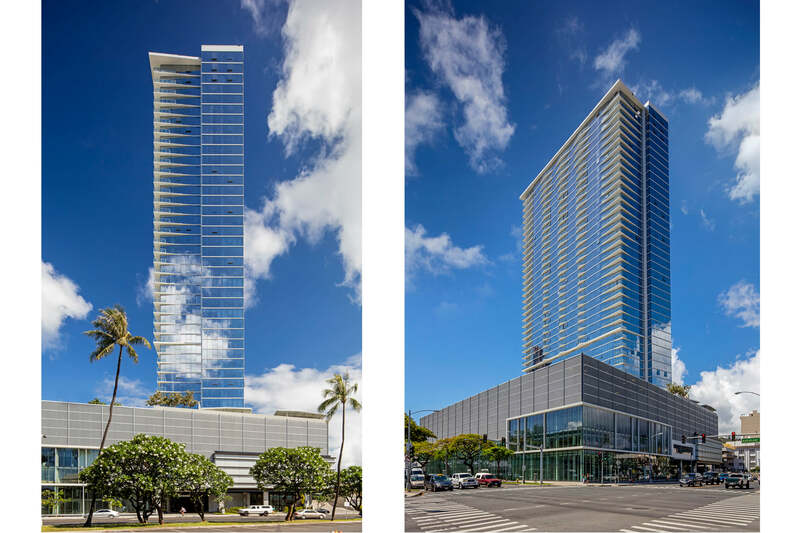 Symphony Honolulu is the newest high-rise residential condominium and mixed-use development in the Kaka’ako Special District, and the first project submitted under the HCDA’s new mauka area rules. 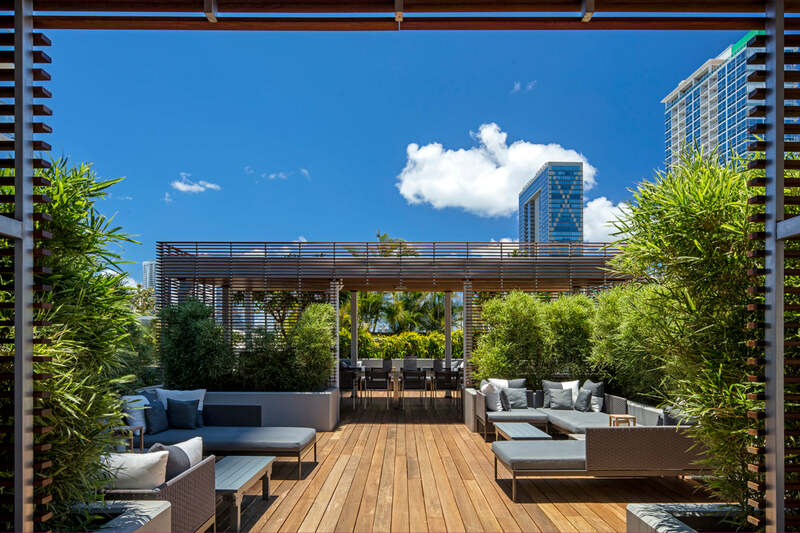 These rules emphasize sustainability and community connectivity, which have been major considerations in Symphony’s design and highly visible presence at the Ward-Kapi’olani corner. 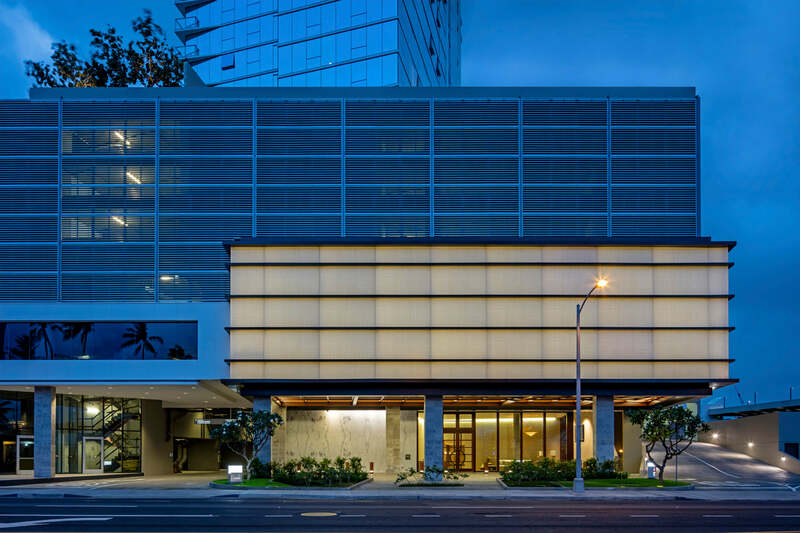 Two major elements comprise Symphony Honolulu in total: Symphony Tower, a 43-story high-rise residential development, and Velocity, a world-class exotic auto gallery presenting fine European cars and cycles together with a fine dining restaurant and café. 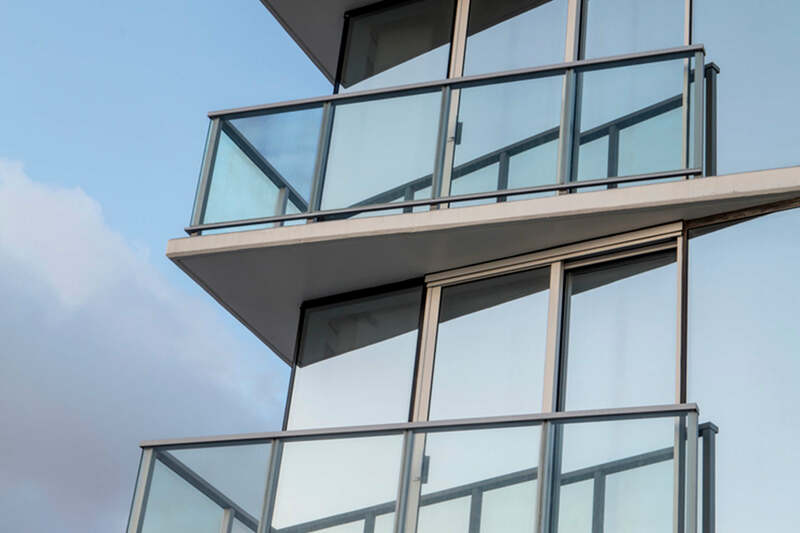 These two elements increase the residential neighborhood population and engage Honolulu’s overall community as part of the Blaisdell, Ward-Kapi’olani experience. Symphony’s residents share its extensive “Plaza Earth” 7th floor amenities including lap pool, spas, fitness center with indoor outdoor yoga, locker and sauna room, multimedia, karaoke room, social room with chef’s kitchen, massage therapy, barbeque and party pavilions, showcase grill, guest suites and dog run.